My name is Heidi Curatolo and I would like to share with you my experiences at The 6th European Suzuki Teachers Convention held in Remscheid, Germany in November of 2014. The event brought together more than 150 European, North American, and African Suzuki teachers, from 22 countries to work together, to learn from each other and to exchange. This was my second time attending this Conference, which was organized by the German Suzuki Institute, the teacher-training department of the German Suzuki Association, and led by vio­linist and Suzuki pedagogue, Kerstin Wartberg. It was very exciting to be reunited with old-friends, and to meet many new members of this international community. The organization of the conference was pristine, and our venue the Akadamie Remschied was once again a perfect setting – with comfortable rooms, delicious meals, a peaceful and beautiful landscape, and charming afternoon tea and desserts. I experienced a wonderful and open atmosphere, and greatly enjoyed meeting teachers who are deeply interested in their professional development and support one another in their quest for excellence and community. This course was a sneak preview of Kerstin Wartberg’s next publication from Edition Peters, based on the teachings of Simon Fischer and Shinichi Suzuki. Each course participant received a booklet containing excerpts of this upcoming publication, and a link to download the piano accompaniments by David Andruss. As a wonderful treat, we had David there in person to accompany the participants as we studied several areas of violin technique in different sessions led by Kerstin Wartberg and teachers that have worked closely with her, including Olga Bereznizkaya, Charles Krigbaum, Isabel Morey Suau, Mike Hoover, Kathrin Averdung and Agathe Jerie. The Main Conference which featured two masterclasses with internationally renowned pedagogue Simon Fischer. I attended Course A, the Main Conference, and the C Course. I would like to share with you now some of the highlights of my experience in Course A, to share some of our course materials, and to show you some videos of our work in Remscheid. Think of fingers on fingerboard during shift as harmonic glissandos. Inner hearing or audiation of the note you are arriving to prior to getting there is crucial to shifting in tune. Often children shift too fast and overshoot the note. Practice slow shifting and the speed of shifting. Practice in little steps. Be sure to master each step before continuing on to the next step. Listen for sound quality: watch bow speed, contact point, and pressure. Change the contact point as you progress through the positions. As you go higher, move closer to the bridge and don’t press so much, otherwise the string will not be able to ring as much as it can. We studied the C Major scale with rests between each note to develop fast finger preparation. This is Dr. Suzuki’s motto: “Finger, Bow, GO!” It is important to have rhythmically controlled playing. If we have all of these skills in place, the goal is to repeat an exercise until you can play it with great ease, and it doesn’t require as much energy to play. Olga instructed us that as you repeat the scale, play it quicker and quicker (for example, the quarter note equals 80, then 100, then 120.) Continue to increase speed—only if the quality is really there. She also stressed that it is important to play musically with phrasing and feeling, even if you’re playing a technical exercise like a scale. Technique and phrasing become more secure if you practice in this manner. She concluded her session by reminding teachers to bring musical feeling and inspiration into their technical exercises. She suggested that during each group lesson (Books 4 and up) children could play these scale exercises with the piano accompaniment of David Andruss to experience both a technical and musical warm-up. 1. Always place the 3rd and 4th fingers on the string together as a block, with the correct spacing between them (in this case, a half-step.) Likewise, lift these two fingers together when you remove them from the string. 2. Prepare the left arm for the string crossing with a slight swinging of the elbow. At first only the German teachers played this exercise while the rest of us performed on the “magic violin.” Soon after, we all switched and took turns. As a coaching, Kerstin reminded us that if the bow arm is relaxed, the violin arm will become more relaxed. We next studied an important intonation exercise for establishing the correct distances between fingers in different positions and using three different finger patterns. We played this exercise in 1st through 6th position, setting the fingers together to feel the shape of the hand frame. Next it was time for a short break, and the participants all headed to the Dining Hall for coffee, tea, and a wonderful array of desserts. The conversation was lively and friendly and it was clear that many everyone was pleased to meet one another and connect with new colleagues. The next “basic” we examined was the study of vibrato, in a very detailed session (Teaching Vibrato to Children) with Charles Krigbaum and Kerstin Wartberg presenting together. In this session (which was part one of a two part lecture), Charles stated that vibrato is a fundamental technique in violin playing that enhances a beautiful tone quality and is a key element in creating musical style. Teaching vibrato to children requires preparation, repetition of vibrato exercises, assistance from the parents, and integration into the repertoire. This session included methods of teaching the most critical exercises, films of student demonstrations from Charles’ studio, and guidelines and principles for teaching vibrato from the Book 2 to Book 4 level. Below you can download a copy of the handouts from their class and examine some ideas about vibrato readiness and a sequence of vibrato exercises. According to Charles, when a student begins to incorporate vibrato into their performance, the quality of sound is forever transformed! New layers of expression become possible, artistry develops, and a student’s sound becomes truly their own. Kerstin said that for many children an arm vibrato develops first more easily and naturally, and together Charles and Kerstin showed how many exercises can be quite readily adapted for the development of either arm vibrato or wrist vibrato. In this session, we performed The Little Ghost, and Ghost Tones – two of Charles’ favorite “pieces” for developing vibrato motions. Isabel Morey Suau led the class on soundpoints. In her own unique and engaging style, Isabel first showed the class a beautiful mobile that she made that had two angels and a star hanging from strings. The mobile represented the critical balance between the contact point, bow weight, and bow speed for tone production. Under Isabel’s leadership, we then worked in great depth on one of the most beautiful exercises from Kerstin Wartberg’s new publication. With a gorgeous accompaniment written by David Andruss (and played live for the class by David), we played a four part exercise that includes the exploration of all 5 lanes and demonstrates the exact recipe of bow speed and bow weight needed to create a beautiful sound. As an extra treat for the teachers, Mike Hoover performed an improvisation over the chord progressions, illustrating further possibilities for creativity and expression. We next studied an Introduction to Double Stops with Katrhin Averdung as the presenter. We began with Hey!Haj! and Kathrin instructed us on some conditions necessary for double stops: balance the bow on both strings, put more weight on the lower string and not on the higher one, fingers placed on inside corners, and that the finger you place down has to be in tune with the open string. Kathrin had many helpful suggestions for teaching double stops, including some thoughts on how to make the level of the bow most advantageous for double-stopping, to avoid vibrato and play with pure sound, and to set the fingers silently as a preparation. She says that silent finger preparation guides a kinesthetic sense and is mental training for the fingers to know where to go and when to stay down. We resumed our studies the following day with Charles Krigbaum once again teaching about vibrato, and this time presenting with Mike Hoover. Use tic tacs with a relaxed hand. Have parent or teacher hold child’s left thumb so that their arm can relax and fingers are relaxed (The Hitchhiker Exercise). Have student place their fingers on the natural depression of the right hand near the wrist-the right hand holds the left hand thumb and makes swinging motions with the left hand fingers one at a time. Agathe Jerie from Switzerland taught a live group lesson with students from her program. The lesson demonstrated many possibilities for working with groups comprised of students of various ages and levels. Her lesson incorporated singing, movement activities (one example was a pre-vibrato motion exercise), and rehearsal strategies for polishing repertoire. Later in the Conference, the children performed a concert for the participants that captured their delightful spirit and showed many creative examples of possible group formats (tutti/solo, melody/harmony, combining pieces into medleys, choreography, and using student leaders). The A Course is now over and many additional teachers are arriving in Remscheid to join us for the Main Conference. I hope you have enjoyed this report, and I invite you to join us next year! Look soon for a report on Simon Fischer’s sessions by Helen Hines from Great Britain, and a transcript of the philosophy lecture given by Charles Krigbaum during the Main Conference. my Suzuki colleagues from all over the world! 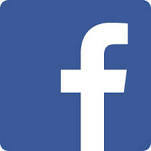 Please like our page on facebook! We hope to meet you all again for next year’s Conference, and extend an invitation to all violin, viola and cello teacher of the worldwide Suzuki community.EVERYBODY is WELCOME! Read what the newspaper ASPEN TIMES reports about Heidi’s Suzuki Institute.